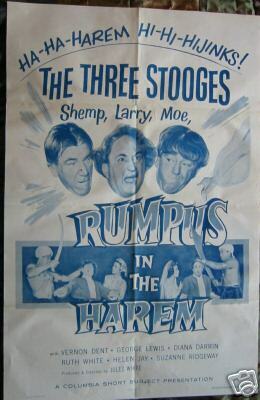 1956 - A very RARE Three Stooges vintage one sheet with great images of the boys. .
A real Nice Stooge one sheet with exceptional graphics and artwork. With the rise in early Stooge movie posters reaching the six figure value range, this is no doubt a great opportunity and exciting investment.